It is a boiling hot Boston summer. Adding to the city's woes is a series of shocking crimes, in which wealthy men are made to watch while their wives are brutalized. A sadistic demand that ends in abduction and death. The pattern suggests one man: serial killer Warren Hoyt, recently removed from the city's streets. Police can only assume an acolyte is at large, a maniac basing his attacks on the twisted medical techniques of the madman he so admires. At least that's what Detective Jane Rizzoli thinks. Forced again to confront the killer who scarred her - literally and figuratively - she is determined to finally end Hoyt's awful influence . . . even if it means receiving more resistance from her all-male homicide squad. But Rizzoli isn't counting on the U.S. government's sudden interest. Or on meeting Special Agent Gabriel Dean, who knows more than he will tell. Most of all, she isn't counting on becoming a target herself, once Hoyt is suddenly free, joining his mysterious blood brother in a vicious vendetta. . . .
After reading The Surgeon (you can find my review for the first novel in this series here) I was straight onto this sequel. 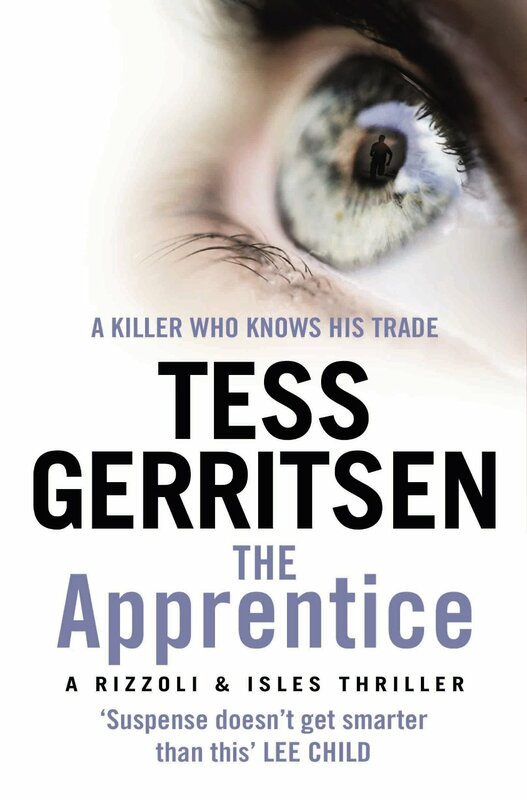 From my experience with Gerritsen's first novel, I expected the same from this, and I was not disappointed! Whilst this isn't the sort of series that you can just pick any book up and read it, you do have to read them in order since there are characters and messages that get carried through, This is something I do like because characters we got to know in the first book aren't completely left out and forgotten and although they don't have such a main part, they are still referenced. Once again with this novel, it began and ended with the perpetrators voice. This was something I only realised from reading the first book in this series and really enjoy this feature as it gives another edge to the perspectives. We see this opinion at random points throughout the novel which is thrilling and the ending with his voice really enticed me to grab the third book. Speaking of the ending, this was really, really great. It was just as unexpected and gripping as I had hoped from reading The Surgeon, however in comparison to that ending, it wasn't as good. I did still enjoy it very much and still feel encouraged to read one. One different feature this book had that the previous one lacked was some romance. As I've mentioned before, I'm not a huge fan of romance as I find them to be too cliched, however this was just an extra feature the author weaved in between the main plot line of the killings. It was unexpected which is fantastic since many romances are predictable, however this one wasn't and it was interesting to see this side of the character. Overall this sequel was just as gripping as the first one and, once again, I'll be jumping straight onto the third one in the series! As I said in my first review, this series is targeted at a much older audience in which there are some graphic scenes and very academic language about biology which may be difficult to understand from younger audiences. Despite this it was thoroughly action packed with unexpected twists and a hint of romance! Is this all we are? A necklace of chemicals? Where, in the double helix, does the soul lie?